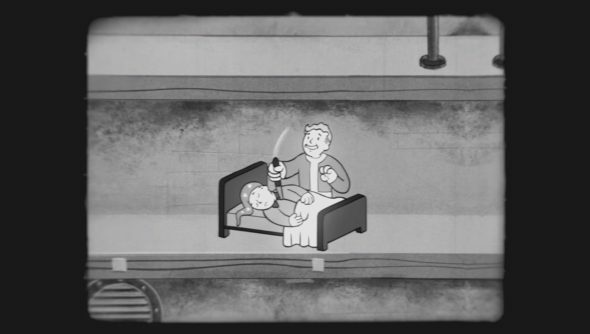 Vault-Tec are back with another S.P.E.C.I.A.L. PSA for Fallout 4. It looks like we’re almost at the end of these little primers, as we’ve reached ‘A’ for ‘Agility’. This one’s for you sneaky, post-apocalyptic ninjas. Get up to speed on the game with our Fallout 4 Everything We Know. With high agility, you’ll be able to slink around, roughing people up before they even notice you, get more shots off in VATS, avoid an unexpected death at the hands of a landmine and, most importantly, murder unsuspecting people while they sleep. With Fallout 4 launching in less than a month, have you already got a character planned out?